My stunning contemporary flat profile mirrors are ideal for adding the finishing touches to your home. 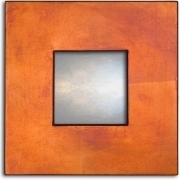 I believe in quality, both in terms of service and the artefacts I make, and as handmade mirrors I can offer a unique, bespoke or customised service so you get the mirror that exactly matches your requirements. 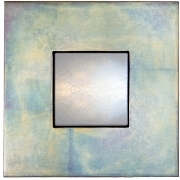 Check out the mirrors below or any of my other fabulous contemporary wall mirror designs. 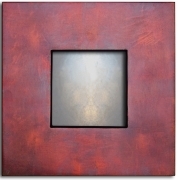 Buy your wall mirror online today or get in touch with your requirements or ideas & I'll be happy to discuss them. 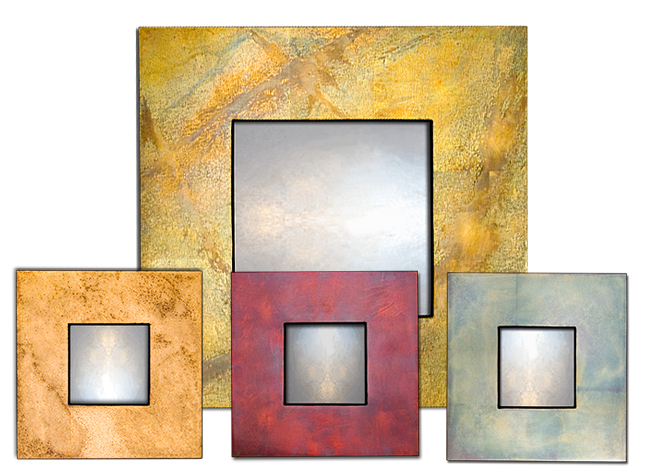 Designer Mirrors at a great price. 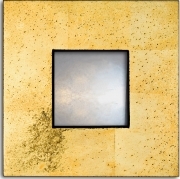 There's no reason why quality has to cost the earth, which is why I provide a second to none service supplying incredible, eye catching mirrors with that all important designer cachet, but for a fraction of the cost of a high end designer piece. My mirrors are available in a selection of stunning iridescent gilded finishes including speckled gold, burgundy blue and light copper that will enhance any home. Can't see a mirror that's perfect for you? I'll be happy to adapt my designs to perfectly suit the space you have. 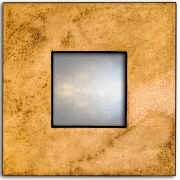 My made to measure, hand crafted flat mirrors are available in a range of sizes, colours and finishes, so whether you need a large mirror for your mantel, a medium mirror for your bedroom or a small mirror for your hallway, I can oblige. Order your flat profile mirror today or get in touch to find out more.